Comfortable queen sized bed with separate bathroom. Microwave, fridge and tea/coffee making facilities provided with cutlery and crockery (no kitchen). Basic continental breakfast items included at no extra cost. A roll-away single bed can be provided if needed or you can use your own portable cot for a baby. No laundry facilities but Laundromat is 5 minutes drive away. 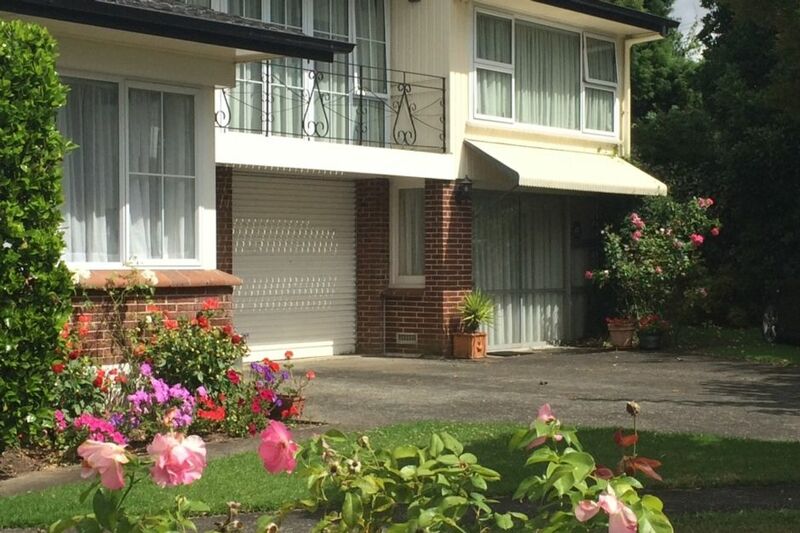 Located on a popular Hamilton avenue next to a park, 5 kms from the City Centre. Easy access to bypass routes. Secure off-street parking. Bus to city-centre at front gate. Near Chartwell Shopping Centre, Porritt Stadium and St Pauls Collegiate. Approx 100 kms (90 minute drive) from Auckland Airport. Hamilton is the hub of the mighty Waikato region and very central to most mid-north locations across NZ's North Island. No parties, pets or dirty shoes inside please. Section not fully fenced so may not be safe for infants (under 3 years). Smoking OK outside. Enjoy your stay! Peter and Colleen were wonderful and friendly hosts. Will stay there again if the opportunity arises and would recommend this place to any couple looking for a lovely place to stay. Excellent location. Very close to Chartwell Mall. Accommodation was very good - all very clean and a comfy bed. Everything supplied for a continental breakfast. Property clear and tidy, Decor was pleasant. This studio apartment was nice, not fancy or new, but satisfactory. This studio apartment was nice, not fancy or new, but satisfactory. The ad clearly states there is no kitchen, and after chatting with Peter and Colleen, we agreed that for one or two nights this is ok (washing dishes in small pedestal bathroom basin), for more than that it can be a bit tedious. That aside, there was plenty of crockery and cutlery, teapot etc. Thanks for staying in our apartment, nice to meet you & we hope you enjoyed Hamilton. Yes, we are ideally suited for short stays but many have returned & stayed longer. While our bedding is immaculately clean, we don't starch or iron the linen.